Last month, the US Supreme Court essentially ruled that individual states have the right to legalize sports betting. A couple of states, including New Jersey and Delaware, have provisional laws on the books that would allow sports betting in the event of a favorable Supreme Court ruling. Both states are planning on moving quickly following the news, with Delaware set to begin allowing legal sports bets this Tuesday. As of this moment, a handful of states allow online poker and online casino play. Nevada allows online poker, while both New Jersey and Delaware allows their citizens to use state-approved online casinos and online poker rooms. 1. Americans love to bet on sports. 2. States are always looking for new sources of revenue. For these reasons, I would expect many states (the majority) to eventually offer legal sports betting to their residents. The main reason? Money. Any late adopters will see the money that states like New Jersey make and want to jump in themselves. I would expect that the adoption of sports betting will lead to conversations about online poker and casino games. If we are offering sports betting already, states will say, why not add online poker and casino as well? 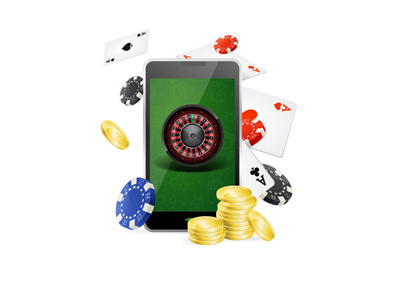 I think that this is a conversation that many states will end up having, and I think that it will lead to the widespread release of legal online casino games in the United States. If you current reside in the United States and use offshore betting sites (or trips to Vegas) to get your online casino fix, don't despair - change is coming, and you will likely be able to play legal online casino games in the comfort of your own home in the near future. I would expect states like Pennsylvania, California and New York to legalize all forms of online gambling in the near future, as the allure of new tax revenues will be too hard to ignore.